An intriguing Heavyweight crossroads fight between former world champions headlined the Premier Boxing Champions card on August 14th at the Prudential Center in Newark, New Jersey. In one corner stood forty-six year old former two-division world champion Antonio Tarver. Tarver, a fighter who entered this bout undefeated as a Heavyweight was looking for his third straight win in his comeback. Tarver faced a legitimate threat in his quest to earn a title shot in a third weight division in the form of former IBF Cruiserweight world champion Steve Cunningham. The thirty-nine year old Cunningham entered this fight coming off of a controversial loss in his previous outing to undefeated contender Vyacheslav Glazkov in March of this year. Although Cunningham entered this bout still rated in the top ten in the International Boxing Federation’s (IBF) Heavyweight ratings as its number six rated contender, an argument could have been made that a loss to Tarver, a fighter who entered unranked by the IBF, but ranked number nine in the world by the World Boxing Association (WBA) could have put his status as a contender in question. Prior to this bout this observer stated that it was logical to assume that this fight would be a tactical battle that could end up in a close decision. 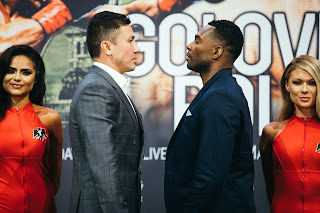 Both fighters are world-class boxers who each have the ability to out box their opponents and to get an opponent out of there should an opportunity present itself. In short, this fight was fought at an extremely methodical tactical pace from the outset and that pace remained consistent throughout the entire twelve round bout. Cunningham was able to be the consistently busier of the two fighters, but it was Tarver who was able to conserve his stamina and make the most out of openings that Cunningham would give him. Although Cunningham was the busier of the two throughout much of the fight, Tarver landed the harder punches. As this observer has often said over the years when it comes to close fights it will often boil down to what a judge prefers in their own individual criteria in how they score a fight based on clean punching, effective aggressiveness, ring generalship, and defense. Although both fighters were able to have their moments in this fight, neither fighter was really able to stand out from the other in convincing fashion. It was certainly not surprising to this observer based on how this fight was fought to see a close decision rendered at the end of this fight. Judges Robin Taylor and John McKaie split scores of 115-113 or 7-5 in rounds to each fighter. The third and deciding Judge John Stewart scored this fight even 114-114 or 6-6 in rounds resulting in this fight being declared a split decision draw. Unofficially, I scored this fight 115-113 in favor of Antonio Tarver. Although there was not much to separate these two fighters in this fight, I felt Tarver was able to execute his offense a little better than Cunningham and landed the cleaner punches of the two in what was a very competitive fight from start to finish. It is certainly understandable how an official judge or an outside observer could see the fight going the other way or see it as John Stewart saw it as a contest that was simply too close to call. Antonio Tarver advances to 31-6-1, with 22 Knockouts. Steve Cunningham advances to 28-7-1, with 13 Knockouts. It is difficult to say where either fighter will go coming out of this fight. Based on what was in all honesty an “Inconclusive” outcome it is understandable and perhaps even logical to assume that the likely course of action for both fighters would be to pursue a rematch. We will have to simply wait and see what both fighters decide to do for their next bouts. Also on this card, undefeated WBO number one Cruiserweight contender Krzysztof Glowacki scored a thrilling come from behind eleventh round knockout over longtime champion Marco Huck to win the WBO Cruiserweight world championship. This was a fight that produced plenty of back and forth action from the outset. Glowacki was able to dictate how the fight was fought in the early rounds by being able to consistently push the champion back and land solidly with his right hand. The champion Huck, who was attempting to surpass former Cruiserweight world champion Johnny Nelson’s record of most successful world title defenses in the division by successfully defending his world championship for the fourteenth time began to open up his offense more as the fight progressed and landed some flush combinations on Glowacki. As the fight entered the sixth round it was a very close contest. Glowacki clearly had the upper hand in the early rounds due to his overall aggression and ability to push the champion back. The middle rounds however, would be dictated by Huck. Huck nearly brought the fight to a sudden conclusion in round six as he dropped Glowacki with a solid left hook that sent the challenger down to the canvas and flat on his back. Although he was clearly hurt Glowacki showed his mettle by getting up from the knockdown at the count of nine and continuing to combat the champion by attempting to fight Huck off of him instead of fighting in a defensive manner and was able to survive the round. Huck continued to get the better of the action in the eyes of this observer in the middle rounds with his ability to throw and land combinations. Glowacki however, remained very “Game” and continued to put pressure on the champion. By the eleventh round Huck appeared to be ahead on the scorecards and seemed as though he were heading toward a decision victory. The challenger however, would have other plans as Glowacki landed a left/right combination that dropped the champion. As Glowacki had done earlier in the fight, Huck showed his mettle by getting up from the knockdown on wobbly legs, but unlike the challenger was unable to recover as Glowacki pummeled him along the ropes causing Referee David Fields to stop the fight. Official time of stoppage was 2:39 of round eleven. Krzysztof Glowacki advances to 25-0, with 16 Knockouts. Marco Huck falls to 38-3-1, with 26 Knockouts. Luis Rosa UD6 over Giovanni Caro (technical decision) (Jr. Featherweight) Official scores 60-55, 59-55, 58-56. Travis Kauffman TKO1 over Richard Carmack (Heavyweight) Official time 2:07 of round one. Jarrett Hurd TKO 7 over Jeff Lentz (Jr. Middleweight) Official time 2:59 of round seven. Marciej Sulecki TKO1 over Jose Barrio (Middleweight) Official time 2:07 of round one. Some readers may recall the feature on the Cruiserweight division that was released earlier this month in which this observer stated that if the recent exposure the division has received in the United States continues and if the division continues to be showcased on American television the better for long-term growth of not only the sport overall, but just maybe the growth for the Cruiserweight division in this country as well. Although this card produced more questions than answers in regard to the futures of Antonio Tarver and Steve Cunningham, it also produced a fight of the year candidate between two fighters making their United States debuts in Krzysztof Glowacki and Marco Huck. For those who may not have seen a Cruiserweight fight prior to this battle between Glowacki and Huck, these two fighters put on a performance that will not only elevate both of them in terms of their exposure here in the United States, but also succeeded in bringing a new audience to their division. It would not surprise me to see a rematch between the two on a future Premier Boxing Champions card. Whether or not this fight does end up in the discussion for fight of the year honors, it is a fight that is definitely deserving of an encore.